So while my man is making bacon and eggs (score) and the bubba is asleep (double score), I thought it only fitting that the first layout I share with you be the first layout I ever did. 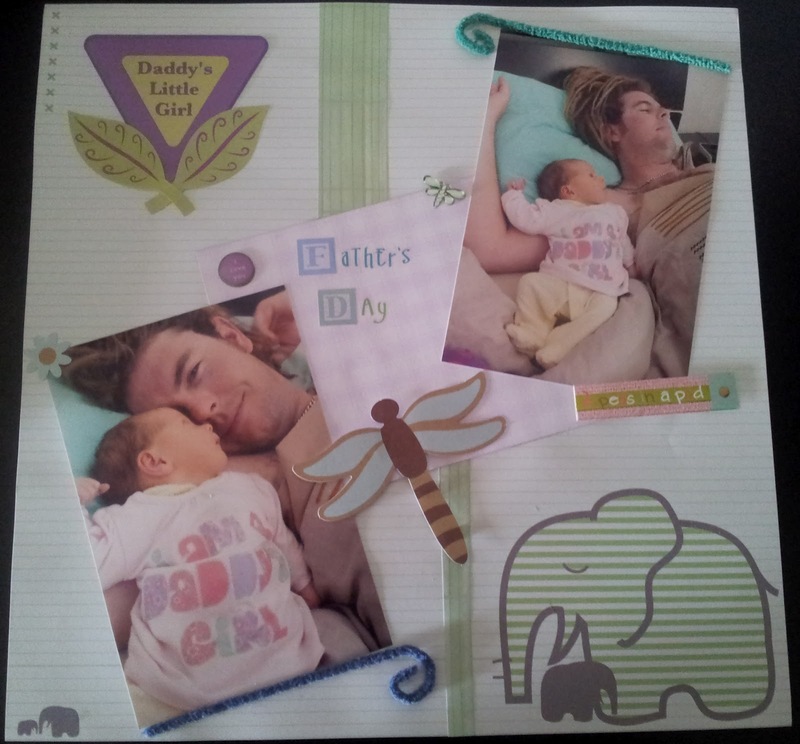 This is a layout of Brenden and Chloe's first ever fathers day. She was just a tiny 2.5 weeks old at the time. At such a young age she was already a daddys girl. Although the pipe cleaners my look a little random they are actually something that Brenden brought home (randomly) one day for Chloe. Looking back at the page now I was I had put the actually date somewhere on it. But hey, it was my first page after all. What a beautiful subject. Daughters are the most wonderful peoples in the world. Wouldn't be here today if I didn't have mine. The blog looks good! Your are a smarty!